When people think of Massachusetts, Boston is what comes to mind most often; however, there is so much more to the Commonwealth than its capital city. Central Massachusetts is home to the second largest city, Worcester. Worcester is known for its many colleges and universities, including Worcester State University, College of the Holy Cross, Worcester Polytechnic Institute, and Clark University. 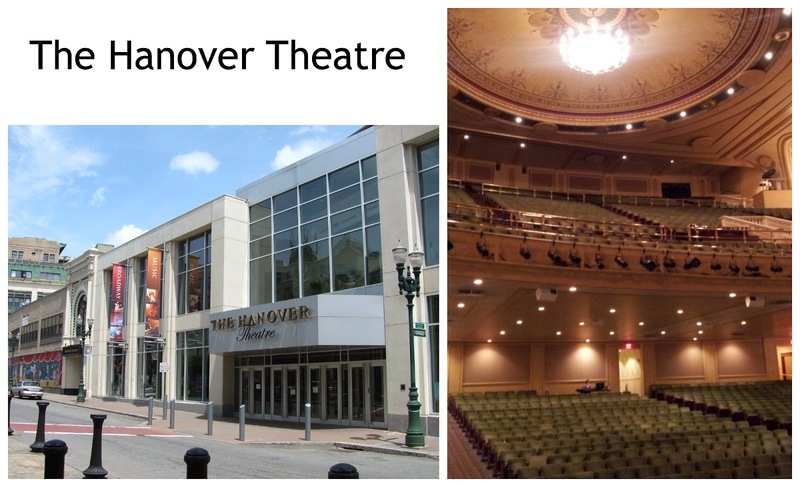 The Hanover Theatre boasts national acts as well as a number of Broadway touring companies and the Armsby Abbey taps into the area's love of craft beer. Shrewsbury Street is a foodie destination, with restaurants featuring the city's top chefs offering the best of fresh, local ingredients, as well as eclectic, creative gastronomy. Leominster, Mass is the birthplace of both Johnny Appleseed and the pink plastic flamingo lawn ornament, made famous by Donald Featherstone in 1957. It is also known as the Plastics Capital of the World. Explore Old Sturbridge Village and see the workings of a 19th century town, and if you like antiques, check out Brimfield, home to the giant Brimfield Antiques show. Pick apples at any of the area's apple orchards or sample the best ice cream at farms with the cows out back. 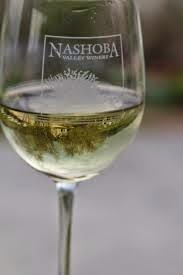 Follow the Johnny Appleseed trail and explore the Tower Hill Botanic Garden, a Shaker village, or sample wine at the Nashoba Valley Winery. Climb Mount Wachusett for area views, and at times on a clear day, even Boston itself. 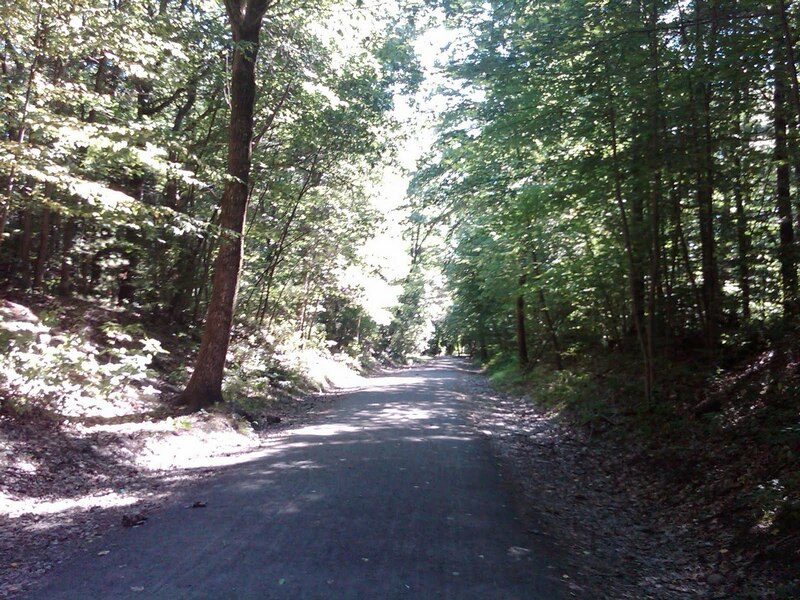 Or venture out onto the serene car-free rail trails, perfect for walking, biking, jogging and, on the paved trails, roller blading. Head farther west on Route 2 and explore the flagship Yankee Candle Company, or the nooks and crannies of the Montague Book Mill, for "books you don't need in a place you can't find." Don’t forget to get yourself a latte at any of the region’s independent coffee houses and bakeries. Massachusetts is so much more than Boston and Cape Cod. Central Massachusetts has a little of everything, for city and country mice alike. Have you ever explored Central Massachusetts? Where are your favorite places? I really want to explore Boston of course but the countryside looks beautiful! 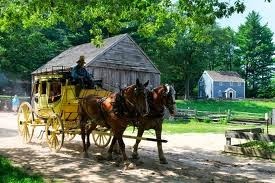 I guess the woods in MA are gorgeous and I'd be interested in Old Sturbridge Village too! Oh the timing of this is great! I'm going to be meeting up with a friend in Central Mass soon and really didn't know where to go, but I will have to suggest some of these places! Hi Bev, I'm so glad the timing was perfect. I hope you have a blast with your friend. Let me know where you decide to explore and if you like it. :-) Thanks so much for stopping by. Have a great rest of your week. 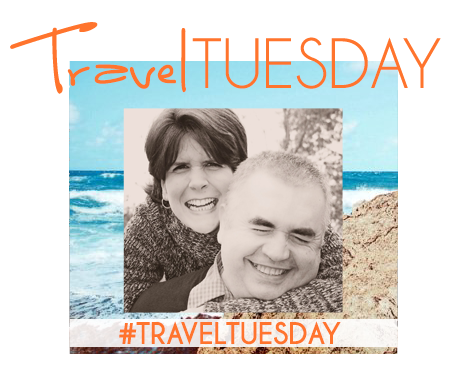 We're hoping to do some road trips this summer and central Mass is now on our list! Thanks for the recommendations! We've been to the Berkshires so many times it's getting difficult to count but I just LOVE the area, especially in the summertime, and every time we head up there's just always new things to see and do. However, I have to say, the Shaker Village was one of the big surprises I enjoyed! And let's not forget the Normal Rockwell museum or the Mount. Love it all! Hi Camilla, I think you will love other parts of Massachusetts as much as you loved Boston. There is so much to do and the areas of this small state are quite different. Coast, mountains, woods, city, towns...we have it all. Thank you so much for your visit and for your comments. I'm such a West Coast California Girl! I hope to some day visit the East Coast and visit all that there is to offer (there's so much!). I'd love to visit the Yankee Candle Company. That would be so much fun. So funny! I have serious wanderlust for the left coast. ;-) I would love to drive down the PCH, stopping along the way...it could take weeks! :-D Thank you so much for stopping by and for your comments. I hope you can visit East...I think you'll love it. Enjoy the rest of your week. We love the NoHo area...so fun. The Montague Book Mill is an interesting find for sure. It's in a great location, and if you're up for a treasure hunt, you may find yourself a dusty, old prize. :-) Enjoy the rest of your week. Nice sharing! I really enjoyed reading through your informative blog. 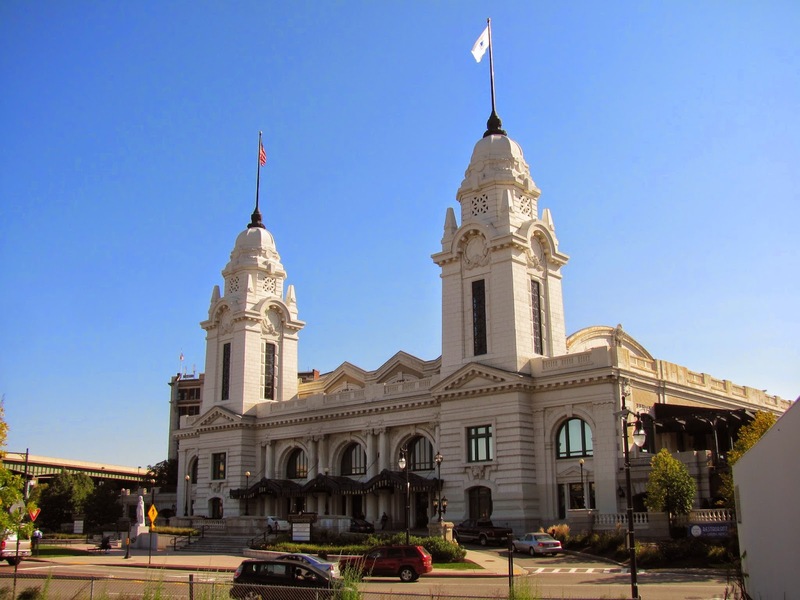 Your blog is a motivation for me to visit The Hanover Theatre and Union Station, Worcester. Now I wish to visit Massachusetts after my weekend niagra bus tour. Let me know what time will best to go there. I want to go there with my wife and my son. Also guide me about the some kid’s attractions there too. 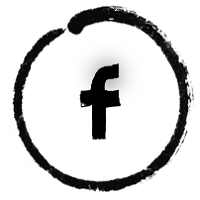 Thank you for stopping by and for your feedback. There is so much to do in Central Mass. Growing up on the South Shore and now living in MetroWest I am seeing so much more of Massachusetts and I love finding new places. 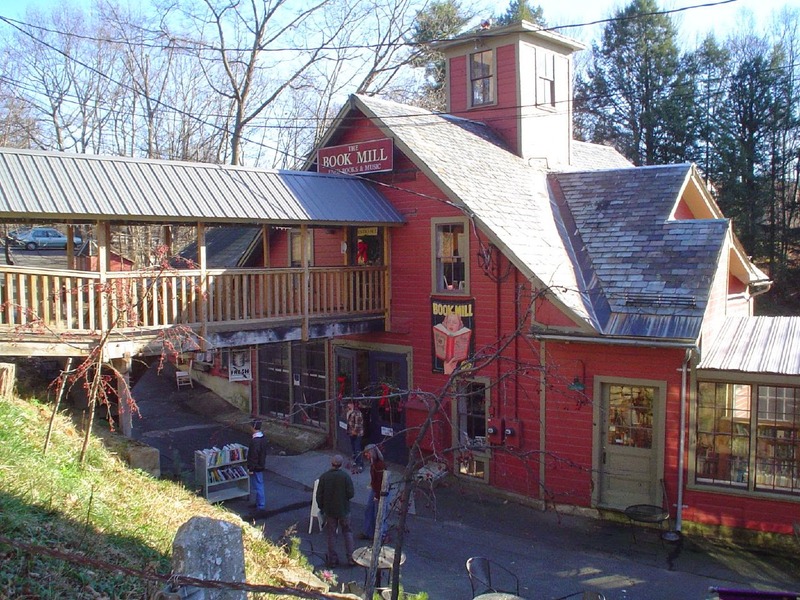 The Montague Book Mill needs to be explored! Hi Kerry, the Montague Book Mill is an interesting find for sure. It's in a great location, and if you're up for a treasure hunt, you may find yourself a dusty, old prize. :-) Enjoy the rest of your week. Harvard Forest Fisher Museum in Petersham is my favorite place to visit in Central Mass. The trails through the forest are great for an easy to moderate hike and the dioramas in the museum are fascinating. When I was growing up we camped at Otter River State Forest in Baldwinville for several weeks every summer. I have fond memories of both Otter River and Lake Dennison. Janet, the Harvard Forest Fisher Museum sounds wonderful. My husband and I usually stick to the rail trails, but this sounds just lovely. There's true serenity to be found in the woods. I understand Thoreau's retreat. Thank you so much for sharing your memories and the Petersham tip. I appreciate your visit and your comments. Please visit again. :-) Cheers! I've never been to Massachusetts, and thank you for sharing more ideas of things to do in the state! Thanks for sharing with others info about Central Massachusetts. Too many people think there's nothing interesting west of Concord, which is not true. May I add two more interesting things in Worcester? 1) If you have kids, they might like to go to the Ecotarium, http://www.ecotarium.org/, which is a bit of a mixture between zoology and science museum. 2) If you're in the mood to try some exotic (Polish) food, go to Golemo's Market on 43 Millbury St. Kielbasas galore! If you do go there, ask someone to point out the Ptasie Mleczko chocolate-marshmallow candy to you so that you can get a box of that as well.